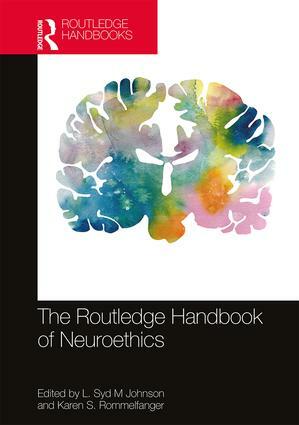 "The Routledge Handbook of Neuroethics is an impressive and important companion to the emerging discipline of neuroethics. The scope of the contributions to this handbook is dazzling, covering not merely well worked questions in neuroethics, but also giving us glimpses of its bright future. A judicious mix of big names and newer voices make this a volume that anyone with an interest in neuroethics will want to read." "In this valuable and interdisciplinary collection, Johnson and Rommelfanger have compiled the most interesting and important writings in the emerging field of neuroethics. It explores both "the ethics of neuroscience," that is, ethical issues raised by neuroscience, and "the neuroscience of ethics," that is, the implications of neuroscience for metaethics and moral psychology. This Handbook is a must-read for anyone who wants to understand neuroethics and its potential implications for law and policy." Applied ethics is one of the largest and most diverse fields in philosophy and is closely related to many other disciplines across the humanities, sciences and social sciences. Routledge Handbooks in Applied Ethics are state-of-the-art surveys of important and emerging topics in applied ethics, providing accessible yet thorough assessments of key fields, themes, thinkers, and recent developments in research. All chapters for each volume are specially commissioned, and written by leading scholars in the field. Carefully edited and organized, Routledge Handbooks in Applied Ethics provide indispensable reference tools for students and researchers seeking a comprehensive overview of new and exciting topics in applied ethics and related disciplines. They are also valuable teaching resources as accompaniments to textbooks, anthologies, and research-orientated publications.